This portrait of mother and son was taken during a week of family portrait session in my photography studio. I photographed the mother and father's wedding a number of years ago and it was amazing to have them in the studio with their son for family portraits. Being a photographer in the Baltimore, Maryland area allows me the opportunity to work with many young families and photograph their children as they grow up. 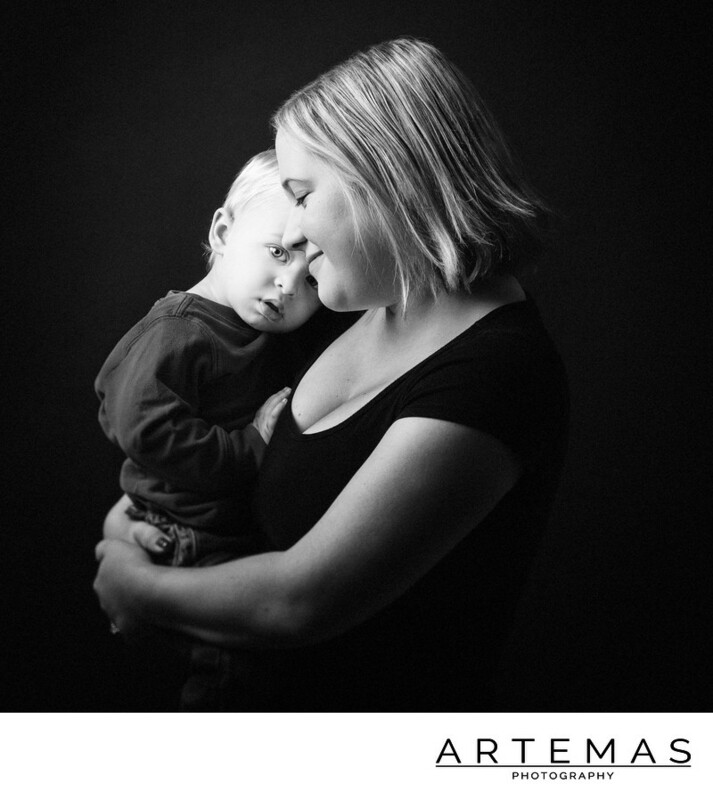 For this portrait I simply asked Colleen to hold her son and reflect on what it means to be a mother. As she did, her son looked up at the camera and I made the portrait I was hoping to capture. I think it's easy for people to overlook the importance of family portraits and what they will mean to the kids as they go through life. This simple portrait is one of my all time favorites and I think Colleen's son will love this when he's older and looks back through photos of his life.